These magnificent Great Basin Bristlecone Pines grow at elevations between 9,800 and 11,000 feet high above the Owens Valley floor. 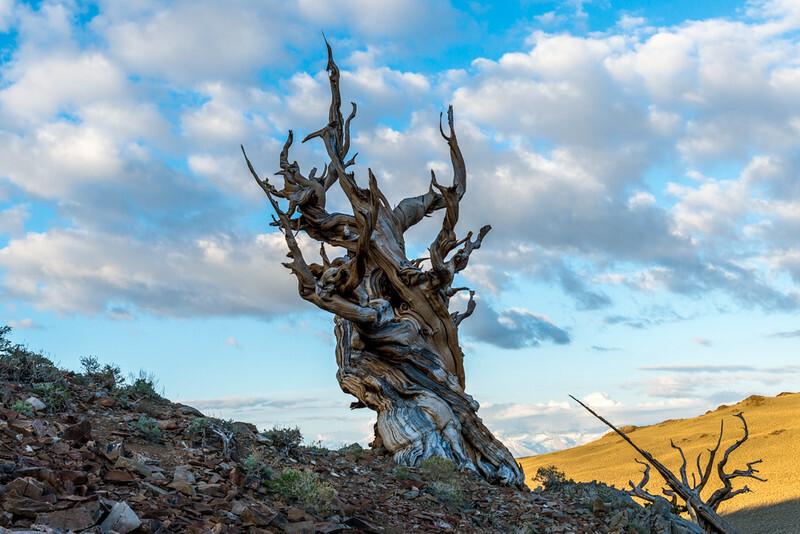 We’ll explore the Ancient Bristlecone Pine Forest and visit the Methuselah grove for an opportunity to photograph Methuselah, a 4,848 year old Great Basin Bristlecone. $795 per person for workshop. A 50% deposit is required to reserve your spot with the balance due 60 days prior to the start of the workshop. Lodging: You will need to make your own motel reservations in Bishop. The Bishop Chamber of Commerce Site has all the available options. Please Note: Winter weather in the Eastern Sierra can be unpredictable. It is possible that we will have snow falling and it is also possible that it will be a sunny day. Either way, we will get out to capture some great winter images. Sun protection hats, rain gear, pants, long underwear, jackets, beanies, etc.